I have two vintage quilts hand quilted by my Aunt who has since passed on. I am considering selling them as I will be downsizing from a home to an apartment. Only the last quilt has a label in it and that appears to be in memory of someone as the dates listed say 1834 - 1922. I don't think the quilt is actually that old. I am hoping someone on this board can identify the names of the patterns and possibly just when these quilts were made and todays value. Both quilts show signs of wear and some fabric is missing in spots. I am having a problem submitting the photos. Will try again in a new post. What you really need is an appraisal done by a quilt appraiser. Even if any of us was one, without actually seeing and examining the quilt, it would be difficult to give you the info you are looking for, especailly pricing. 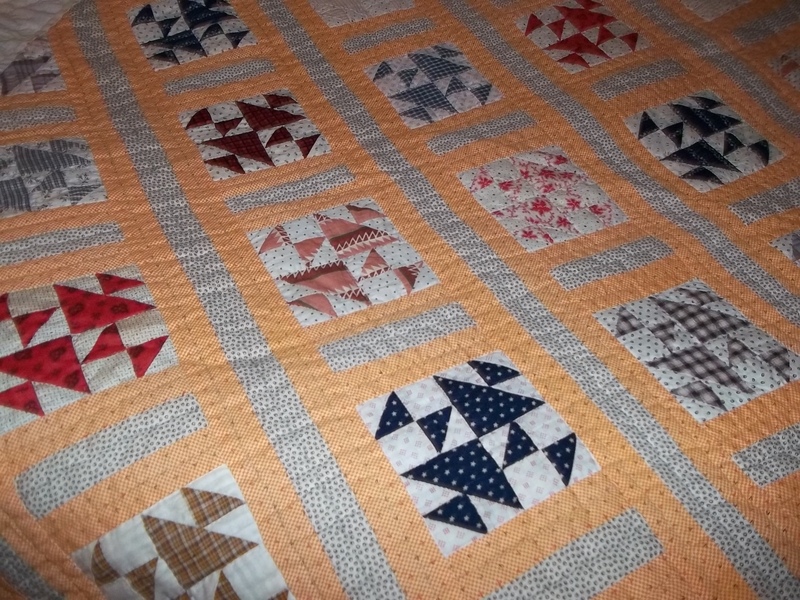 You can check with a local quilt guild and find an appraiser in your area. They are nice quilts. Really like the second one. I agree. They should be appraised locally to reflect the market in your area. The paperwork will also document the prices you charge and mean you are more apt to get what you ask for them. Along with guilds, many quilt shops also know of appraisers. I don't like to tell you, but the market isn't very strong for selling quilts. I would suggest giving it to a family member who would appreciate it. The Best of Luck !!! The top quilt is a Friendship Knot, and I think the bottom one is maybe cups and saucers? Not sure. I'll try and find it. edit: I found it... it's Old Maids Puzzle. Hope this helps you. They are beautiful quilts and I wish I could take them off your hands. Last edited by mike'sgirl; 07-09-2013 at 02:01 PM. In my part of the country (Southern Ontario Canada) older quilts that have been well used do not bring large selling prices. The sentimental value is much higher than the appraised value. 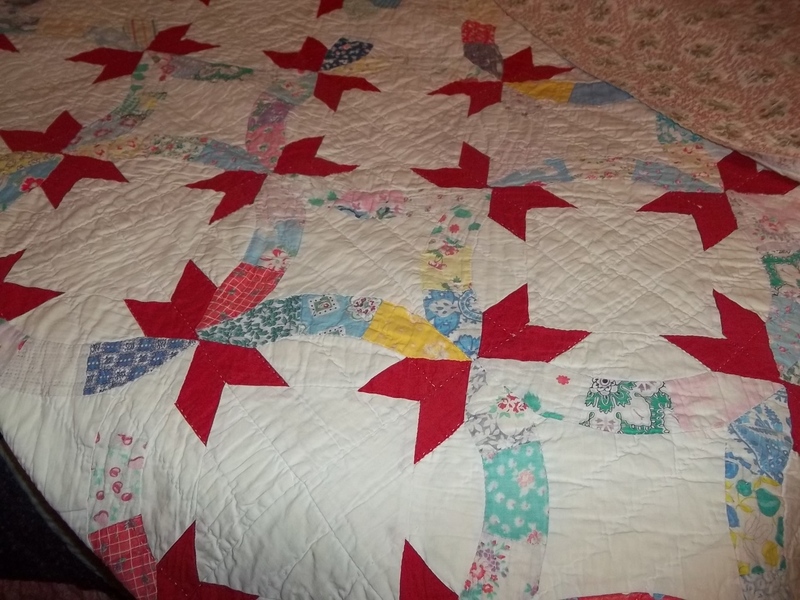 Quilt appraisals are not cheap either so you may want to consider donating them to your local museum or passing them on to another family member if there is no room in your new house. It is possible that the one with the label was started much earlier and completed at the later date. I know my mom and her sister had started one in the 20s or 30s that I completed piecing in the 60s. We then had it quilted by a lady in town. However if any of it was done prior to 1922 it is certainly in very good shape for that to be the case. I totally agree. In real estate, the three most important factors are "Location, location, location". With quilts, it's "Condition, condition, condition." I say keep them yourself or give them to a family member who will cherish them as family heirlooms. I am not even going to guess at value or age. They are lovely quilts, especially the one with the red in it, I am amazed how well the red is after all of the years. I have a very old quilt and the one color that is bright is the red. Lovely old quilt. The second one looks older than the first one. I would say 1920's for the first one, late 1800's for the second. You might try selling them on Etsy. Very nice quilts. Thank you mike'sgirl. This will save me a lot of time. They are beautiful, I do not think I could part with them.